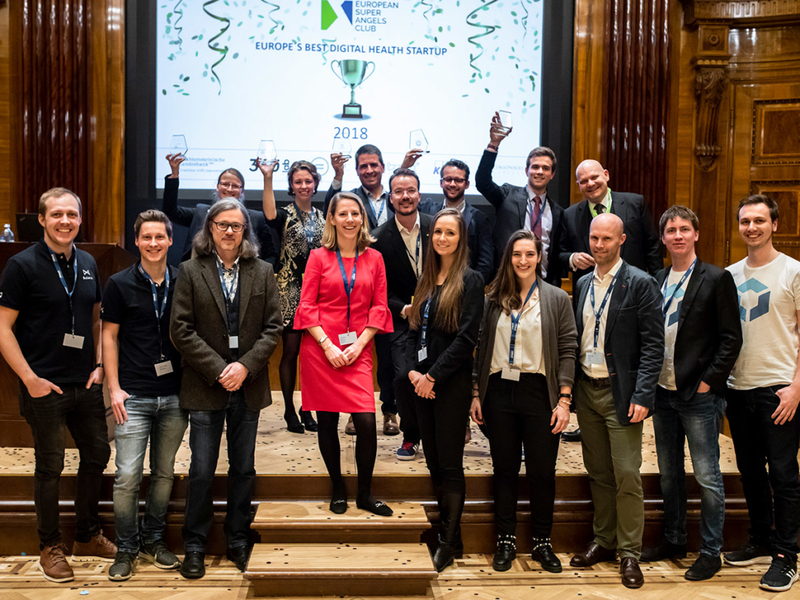 By plane from Lisbon or by train from Munich: five hotshot digital health startups made their way to Vienna to compete for the championship in digital health. All five startups qualified themselves by winning one of our national pitching events, held in September and October. 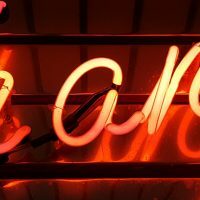 In addition to the pitches, renowned family offices, corporate venture capital units and business angels were able to meet each other and swap insights on early-stage tech investing. 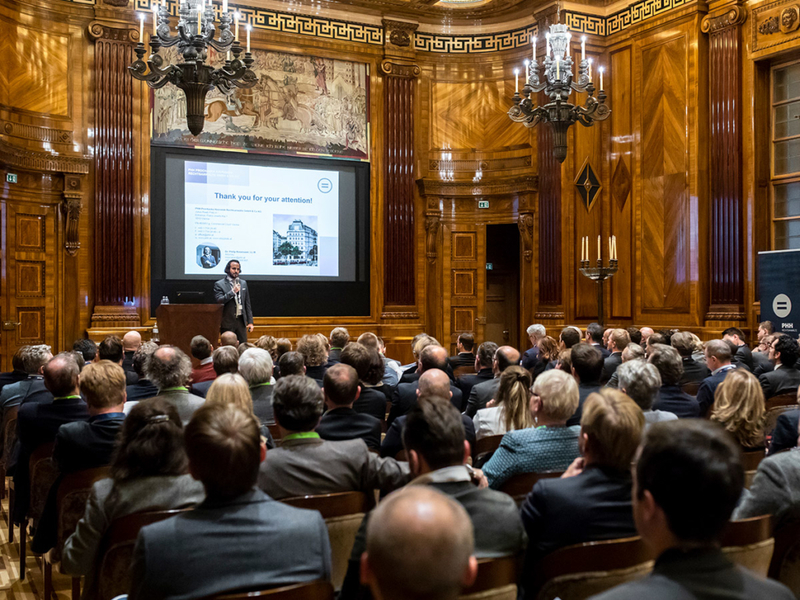 Over 200 investors joined the event in Vienna. On stage: Philip Rosenauer from PHH Rechtsanwälte with his keynote about IPOs. 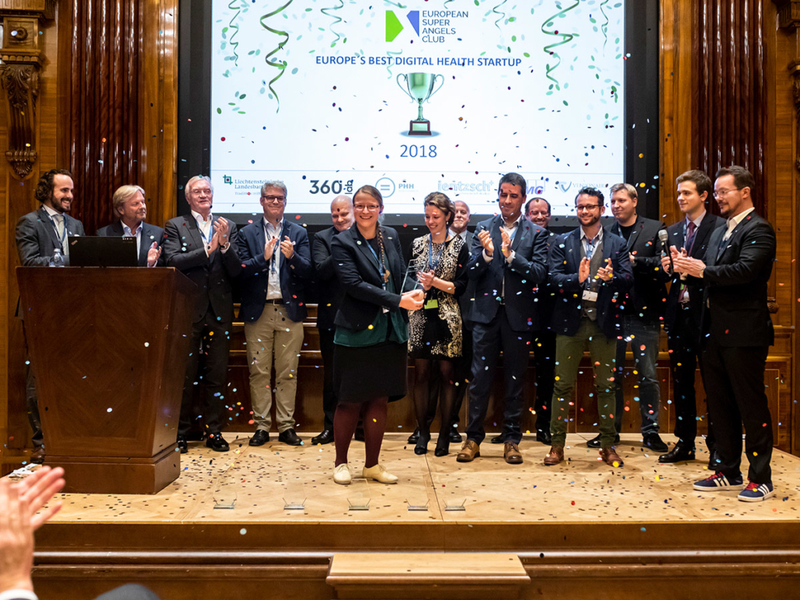 After five fantastic pitches and testing questions from the jury and the audience, British startup Repositive was named as our ESAC Digital Health Champion 2018. 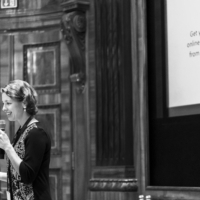 Founder Fiona Nielsen and her phenomenally bright team are creating a two-sided marketplace in which genomic data is indexed in a fully searchable way for the first time. 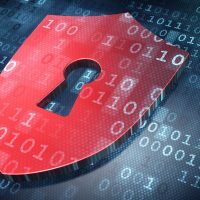 This means that pharmaceutical companies can better target their pre-clinical research, leading to sharply increased success rates for drug discovery. 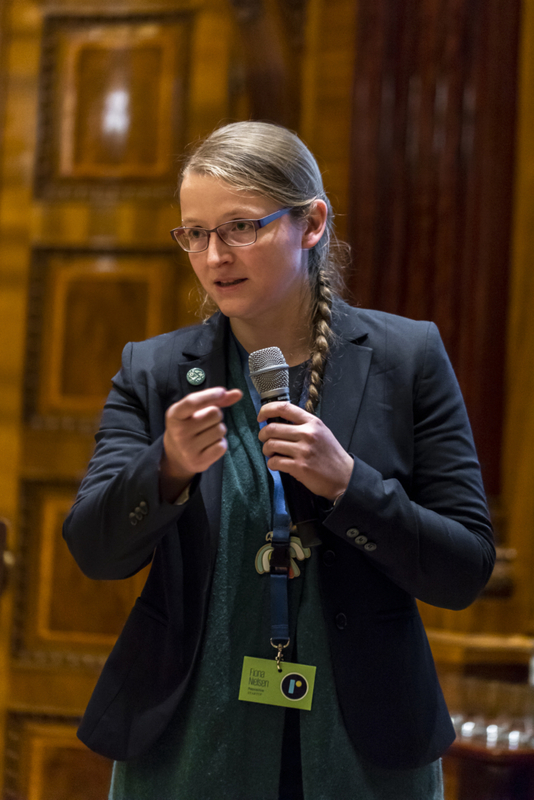 Fiona Nielson from the British Startup Repositive convinced jury and audience. 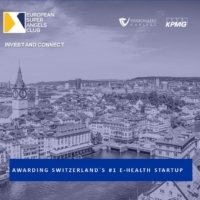 Amadeus Capital, a high-tech fund founded by star investor Hermann Hauser, has already invested in this promising company and numerous members of our club expressed their interest as well. “Negotiations are already underway as a result of Monday night, and that’s exactly what our Club is all about,” explains Investors Relations Manager James Penn. All five finalists were very well received by the audience. For example, myBioma from Austria went on stage with the knowledge that they had already secured an investment from serial entrepreneur Daniel Mattes and his company 42.cx due to our event in Munich in October. myBioma operates in the field of predictive medicine, using AI to scan the gut flora and help the early detection of diseases. “The microbiome (the intestinal flora) is currently one of the most researched fields in genetics. Every person should have an analysis of the intestinal flora analysed twice a year as a precaution,” explains Dr Barbara Sladek, founder of myBioma. Germany-based Mommymove has developed a fitness app that is specifically tailored to the needs of new mothers and has already gained huge exposure through the Apple App Store, being featured regularly as one of their best newcomers. The Swiss national winner was Sleepiz. 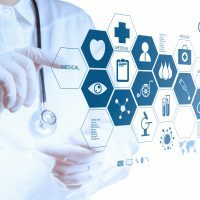 They have developed a revolutionary medical device that can be used at home to analyse sleep apnoea with an accuracy which was previously only possible in a sleep laboratory. 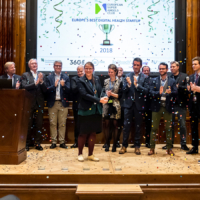 The judges and audience were particularly impressed by founder Max Sieghold’s very polished pitch and saw the potential for a lucrative exit which may be just down the road. Wildsmile from Portugal had the longest journey to Vienna. 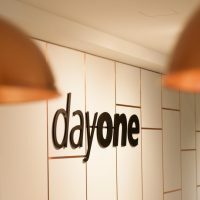 The company has also created a marketplace for dental treatments, similar to an ‘Airbnb for Dentists’ that has already provided over a million treatments and wants to conquer the DACH region next. Founders from this year’s finalists (Mommymove, myBioma, Repositive, Wildsmile, Sleepiz) met our existing portfolio startups (Yodel.io, Blockpit, Firstbird, kompany, and Butleroy). Both the audience and the jury praised the high-quality of the presentations. All five finalists are now open for investments from members and partners of our club. For details on any of the companies, please arrange a call with James Penn. Our year-end event also showed that the topic of collaboration and cross-border investments in startups is gaining further traction. 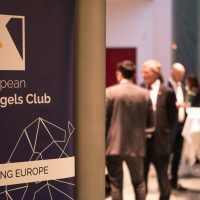 In cooperation with the European Super Angels Club, the Liechtensteinische Landesbank (Österreich) AG enables its clients to identify trends and innovations in the startup ecosystem, Druckerei Jentzsch scouts for new (digital) business models, the 360 Lab Accelerator expands its international network, and PHH Rechtsanwälte helps founders and investors with their transactions and IPOs. As always, if you want to know more about our Club and what we can offer you, please contact us to speak to a member of our team.